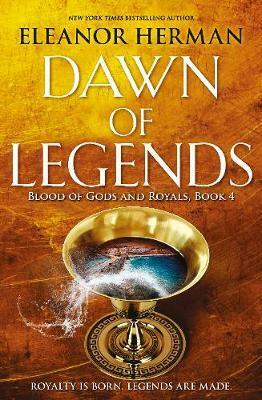 The epic scope of Outlander meets Game of Thrones for teens in the riveting conclusion to New York Times bestselling author Eleanor Herman's Blood of Gods and Royals series, Dawn of Legends. Prince Alexander of Macedon has battled both men and monsters, but this final war will determine his fate... and the future of all mankind. While Macedon's enemies close in from all corners of the earth, Alexander must fulfill one last prophecy that dictates only he - and he alone - can ensure humanity's survival against the age of the deadly Spirit Eaters. As the threads of fate draw Alexander closer to his destiny, an exiled queen will meet a runaway princess, a young sorceress will set the final path of her heart in motion and generals will choose their final battles. Before the light of victory can shine, enemies must become allies, Death must be tamed and hearts must break. Who will rise and who will die? All is revealed in the epic finale to New York Times bestselling author Eleanor Herman's rich and fantastical Blood of Gods and Royals series.